Numerous Birmingham based employers are already taking advantage of the Citysave Payroll Deduction staff benefit scheme. We know it works but don’t just take our word for it! 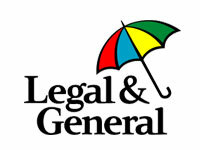 We believe financial wellbeing starts with simple basic cash savings and L&G offer simple direct access to such savings, for our Birmingham employees, through our partnership with Citysave. We see the promotion of such a simple Employee benefit, administered without cost via payroll deduction, as an important contribution to improving the savings culture in the UK. In the long term, a positive change to savings attitudes will benefit financial wellbeing, which is something we believe all Employers should support. Birmingham City council strongly supports the principle of regular savings as part of financial wellbeing. We have offered our employees access to simple payroll savings with our partner, Citysave, for some 30 years and hope other City employees will recognise the value of this most simple form of employee benefit. Citysave has been working with St Basils for a number of years to promote savings and small loan agreements for our employees through salary deductions. 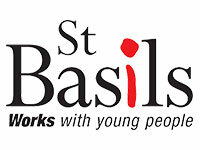 St Basils has a full range of prevention, accommodation, support and engagement services as well as services which aim to ensure young people develop the skills and have the support needed to move on successfully. Our young people are supported by more than 250 staff who are dedicated employees who also at times face their own challenges. As an organisation we believe it is essential to support the financial wellbeing of our staff, and we value the benefit that a good credit union can offer. We have very good links with Citysave, and a representative attends our induction day for all new staff. They also participated in a recent St Basils reward and benefit day to promote their services, which was welcomed by employees. We have a good working relationship with Sean and Bethan who are very flexible in supporting our requests. I would recommend Citysave for all the reasons above, and for the continued account management service that we receive.